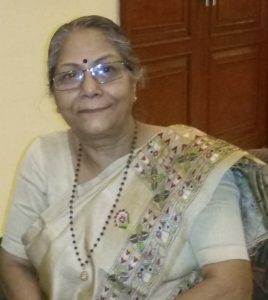 Ms. Manju Shrivastava is the national president of Ekal Sansthan, one of the biggest grassroots movements in India which is working in the field of education and development in Rural and Tribal communities. Having been with Ekal for over 30 years and being one of the founding members of Ekal Sanstan, she has led this organization and impacted lives in thousands of villages through her work. Following are her views on our questions. I consider myself an Educationist by the virtue of my work, a psychologist by training and a nationalist from my upbringing and cultural grooming. I was inspired by Swami Vivekananda and Gandhi ji and had a desire to contribute in the re-strengthening of the nation. In the 80’s I was a lecturer in Calcutta when Shyam ji Gupta from Sangh presented the concept of Ekal Vidyalayas. A group of educationists, industrialists, anthropologists and activists came together to bring this idea to life, I was one of them. Ekal Movement is present in 55000 villages of India covering the length and breadth of the country. It is a global movement spreading in twelve countries of the world to inspire Indians living there to join it. I have done M.A and B.Ed in psychology from Gorakhpur University and have been in academia for a very long time. My husband retired as a Zonal Manager at Escorts group but I resigned from college much before my retirement at the zenith of my career to dedicate my life to Ekal, my life Mission. We have two daughters who are both married and settled. What’s the philosophy behind Ekal and why you chose to work with it? Ekal philosophy is inspired by three great men of India. First, Swami Vivekananda, his vision was to uplift the country through education. He wanted education to spread to each and every corner of the country. From Ladakh to Rameshwaram, Ekal is bringing education right at the door step of poor communities. Our second inspiration is Mahatma Gandhi, his idea of development of village is at the core of Ekal Sansthan. Village is where heart and soul of this country lies, the ideas of Swarajya and Swadesi are essential for a healthy democracy. We emphasize on Sewa and Self Sufficiency. We try to instill the love of country and patriotism in our students. I got attracted to the cause and here I have found my dream come true, which is why I chose to work with them. Do you think one teacher for every school is sufficient and how do you train them for this task? The idea of Ekal is of non-formal education; it works on group system with the usual strength of a class between 25-30 students. Classes are held in evening for three hours and seven subjects are taught which includes prayer, singing, art & craft, yoga programs etc. Teachers for villages are selected from their local communities; they should be responsible, motivated and reliable. Mode of teaching is in local language but some knowledge of English and Hindi are also imparted. We have a seven tier system for training teachers as well as field volunteers from different groups and categories which include learning how to handle kids, run schools, coordinate and work with village communities. Teachers are given preliminary orientation and then training for 7 days, then regular training every month to refresh and update them so that they can continue teaching effectively. They learn the subjects they teach and also reporting to coordinators at block and district level. We have about 7000 fulltime volunteer and 40 lakh students have benefitted form Ekal schools. One small fact that I’d like to share is that none of our students have any alcohol addiction or problems and none of our students in Kashmir valley have ever done stone pelting on forces. What are shortcomings in our current education model in your opinion and how do we overcome them? From my experience in the field of Education I have observed that modern education lacks the element of ethics and moral. Emphasis is laid on IQ but not EQ (Emotional Quotient), the human factor is not there. Schools want to build International citizens but they are unable to instill the sense of love and pride of their own heritage and country. I think modern education should teach students to connect with their roots. Commercialization is damaging to education. We have to instill human values and responsibility towards society in our education. Lots of people from rural areas flock to cities in search of work, how does Ekal plan to address this through education? This migration towards cities is a disaster for security, agriculture, ecosystem and all the aspects of our lives. NGO’s and government have to come together for reversing this trend. Ekal is trying to address this through including subjects like healthcare, animal husbandry, water management, rural economic development among others. Ekal Gramotthan and Arogya foundation are running projects in this direction to make lives better in villages so that people stay in their communities and develop a sustainable earning through agriculture and other means such as social entrepreneurship. Do you have any plans to implement Ekal model in cities especially in slum areas? other 4 lakh in their vicinity. But we are willing to share, guide and train other individuals and organizations who want to work in urban setting and we are already doing this with various NGOs in different parts of the country. What’s your observation on women empowerment during your work with Ekal? I’d say we didn’t started with women in mind but within five years we realized that women can be a huge power in bringing change to these tribal and village areas. They have deep care, love and a willingness to sacrifice for their communities and families. Our 80-90% of 55000 teachers are women so you can imagine the role they have played in success of Ekal. In the village committees that take care of Ekal Schools two members have to be women. For our Urban women volunteers we have a concept of Ma Yashoda for them as they are very helpful in many ways such as training, value addition, taking care, motivating and nurturing Ekal field volunteers like guardians. Even though there are challenges of poverty and ignorance but women have showed tremendous courage in bringing this change. Many people object to moral and cultural education of kids as Saffronization or nationalist agenda, is there substance in this argument or not? I’d say any education which does not give a child a sense of pride in his culture and country is incomplete. Patriotism, character building should be an integral part of education. It has no colour or anything to do with religion. Where do you want to see Ekal in the coming years? I have three phases in mind for Ekal. First, as I said earlier to expand in 1 lakh villages, bringing positive change in their lives, we do not equate this to college degree but to economic development and strengthening of democracy. Second, reviving our agriculture glory, a cow based agriculture and agriculture based economy which would be self-sufficient and sustainable. Third, the overall development of our country by bringing people together, strengthening our democratic foundation and core values. We are a people’s movement, by the people for the people. First, Youth especially urban youth, those who are skilled, privileged in many ways than others should come forward to serve. They should be the change they want to see in world, be the torchbearers, reach out to your brothers in villages and help them. Second, the intelligentsia, they should use their mind and pen to spread positivity in the country. They can be the voice of crores of people who are waiting to emerge from poverty. Third, to the women who are educated, they should come forth to give their time, talent and devotion to those who are left behind, like mother Yashoda to an underprivileged child. Fourth, to those are economic leaders of this country, those who are well off should devote their influence and resources for the benefit of their fellow citizens. This is a great interview explaining Ekal in details and showing the Nation Building work of three great leaders of India, Swami Vivekananda, Mahatma Gandhi, and Baba Saheb Ambedakar. Few details are inspiring to us. This is a comprehensive interview which address core agenda of Ekal Abhiyan. Great interview! Elucidating the Principles on which Ekal Movement stands. Inspirative interview.Helpful for us in ekal knowledge. Must be read by all karyakartas.Thanks Manju didi for such a ekal knowledge in precise. Very inspiring and informative interview Manju didi. Neha thank you beta , can you spread this interview with little note that at present total number of schools are more than 68000 . Can you mail this interview to my mail . Only a Prof of education could do this in such a short and precise way. A true surgical strike!! Very informative, everything is explained so precisely, very impressive indeed.